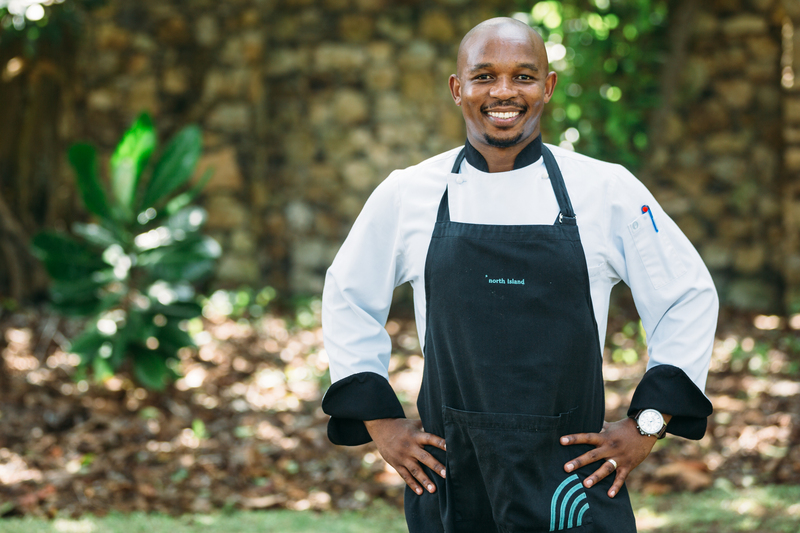 Executive Chef Donaldson Madubela leads the talented culinary team on North Island. The Island’s philosophy comes alive in his Kitchen where bespoke menus are skillfully crafted on a daily basis with the aim of spoiling and surprising every guest’s palate. Rooted in fresh seasonal produce and inspired by the flavours of the Seychelles, Donaldson and his team of chefs offer a unique culinary experience that complements the mood of each of the many dining venues on North Island. Donaldson grew up in South Africa where the foundations of his career were laid. With a burning passion for culinary adventure, Donaldson set foot in the kitchen immediately after he finished his schooling. He learnt a great deal under an influential mentor and spent three years in training at the International Hotel School, Three Cities and Le Franschhoek Hotel and Spa. After qualifying as a chef through City and Guilds, Donaldson competed nationally in several competitions and went on to gain further experience in fine dining at African Pride Hotels (Arabella Hotel and Spa, Mount Grace Country House and Spa, and Irene Country Lodge) and more recently at The Royal Portfolio (La Residence). Donaldson joined the North Island team in 2014 as Executive Sous Chef and was promoted to Executive Chef in 2016. In his spare time, Donaldson enjoys fishing at the Drop-off to stock up the North Island Kitchen with the freshest fish in the Seychelles as well as foraging for island-grown fruits and vegetables, which he weaves into his daily bespoke Chef’s Suggestions.